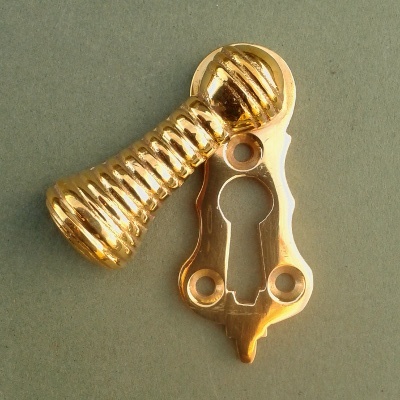 Key escutcheons from The Door Knocker Company are all covered key escutcheons. The key escutcheon, or key hole cover was primarily designed to protect the key hole from excessive wear and to keep out the draughts, but they also add a decorative element to the door. Cast using authentic original designs, our key escutcheons are available in brass, nickel and a black powder coat finish, to compliment our other door furniture including the door knockers, centre door pulls and letter plates. Our key escutcheons are ideal for period property renovations as well as general home improvements. 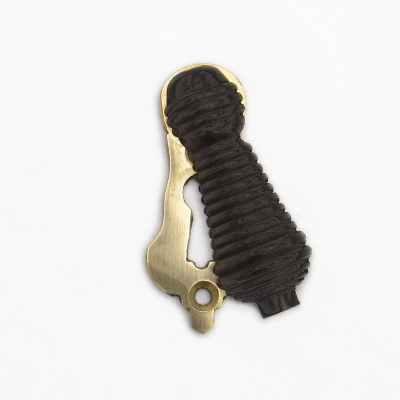 An elegant solid ebony key escutcheon mounted on a brass back plate with a beehive reeded pattern. Sizes 69mm (2 5/8") high x 25mm (1") wide. Key hole 18mm (0.75") high. An elegant solid ebony key escutcheon mounted on a nickel back plate with a beehive reeded pattern. Sizes 69mm (2 5/8") high x 25mm (1") wide. Key hole 18mm (0.75") high. 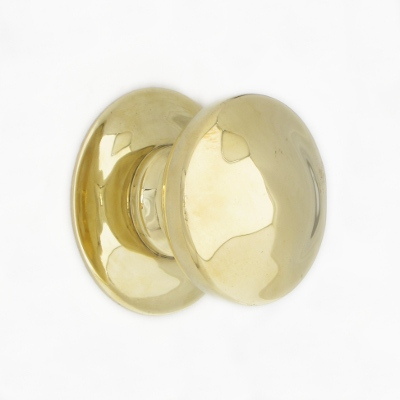 A solid brass Georgian style yale barrel cover will add style to modern security fittings. Sizes 80mm (3") high x 58mm (2.25") wide x 35mm (1.5") projection. A traditional Victorian lattice design covered key escutcheon. Cast in the UK, hand polished and unlacquered. Sizes: 60mm (2.3") high x 23mm (1") wide. A traditional Victorian flower design covered key escutcheon. Cast in the UK, hand polished and unlacquered. Sizes: 50mm (2") high x 22mm (0.7") wide. An aged brass Victorian key escutcheon cover. Hand polished brass with an aged finish. Sizes: 63mm (2.5") high x 19mm (1 3/4") wide. A nickel plated Victorian key escutcheon cover. A perfect finishing touch to a period property renovation . Sizes: 63mm (2.5") high x 19mm (1 3/4") wide. The aged brass beehive oval key escutcheon is a perfect compliment to our other beehive products. Sizes: 55mm (2.1") high x 28mm (1.1") wide. The nickel beehive oval key escutcheon is a perfect compliment to our other beehive products. Sizes: 55mm (2.1") high x 28mm (1.1") wide. This brass reeded beehive covered key escutcheon compliments our other brass beehive door furniture. Sizes: 59mm (2 1/4") high x 25mm (1") wide. This nickel plated reeded beehive covered key escutcheon compliments our other nickel beehive door furniture. Sizes: 58mm (2 1/4") high x 27mm (1") wide. A plain chrome covered key escutcheon. This ebonised wood and brass reeded beehive covered key escutcheon compliments our other ebonised beehive door furniture. Sizes: 60mm (2 1/4") high x 25mm (1") wide. This ebonised wood and chrome reeded beehive covered key escutcheon compliments our other ebonised beehive door furniture. Sizes: 60mm (2 1/4") high x 25mm (1") wide. This black covered key escutcheon in the shape of a shield has a hammered finish and is suitable for outdoor use. Sizes: 55mm (2.1") high x 22mm (0.7") wide. The black oval key escutcheon has a slightly hammered finish and a black powder coating. Suitable for outdoor use. Sizes: 50mm (2") high x 32mm (1 1/4") wide. A plain oval key escutcheon for internal or external use.